What I really think: Quite an intriguing book. It has enough humor and drama to make it appealing to many of my students. Definitely buying a copy. Mary Anning was born in 1799 and had a difficult childhood in Lyme Regis, England. Her father was a carpenter who made extra money by selling shells and fossils to tourists in the town, but after suffering a fall (and battling tuberculosis), he died, leaving many debts. Mary quit school in order to help with the family income, and devoted her time to fossil hunting. There was another man in town, Captain Cury, who also looked for fossils, and competed against Mary in trying to find things like the "giant croc". Luckily, Mary had better skills and more knowledge than the slap dash Captain, and found some major fossils, which she was able to sell. The main story ends before Mary's adult life, but there are some notes about her further career. Strengths: As an enormous fan of The Childhood of Famous Americans, I enjoyed this tale of an early pioneer in paleontology. Kulling has a wide range of interesting biographical subjects, including my very favorite, Lillian Gilbreth!The illustrations reminded me of Lois Lenski's work, and even the trim size of the book and the font used make this seem like an older title. Weaknesses: I really wanted a book that students could use for research. What I really think: A fun, old-fashioned book to read, but not all that helpful in terms of research for projects. Kat Greene's school sounds like the one where I did my first student teaching in the city. I will definitely check it out. 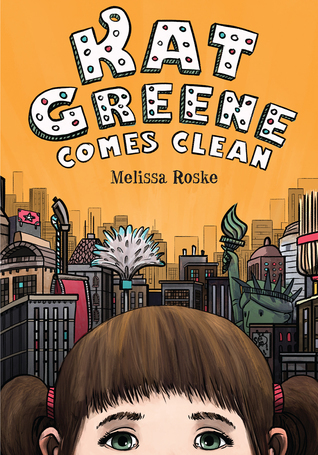 Kat Greene Comes Clean is a great story for kids who have OCD or have family members who have OCD. This is the kind of story I like to share. I also loved stories about famous women as a child. Have not heard about Mary Anning's story. Sounds interesting. Thanks for all of your great recommendations this past week. I'd only read a few of them and did enjoy THINGS THAT SURPRISE YOU. Have a great week. 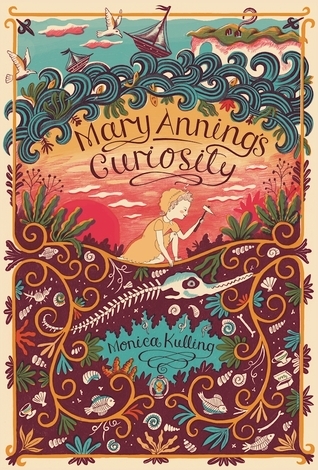 Both of these books look great, but Mary Anning's Curiosity looks like a fascinating read. Kay Green Comes Clean sounds like a great read - it can be so upsetting for a child when their parent has a mental illness, and it's so important for them to realise that they're not alone, and that it's not their fault! Monica Kulling is a great author. I'm eager to check out her latest book. Thanks. Thank you, Joanne Roberts, for your kind words! Kat Green Comes Clean just went on my TBR list and I think Mary Anning's Curiosity will as well. Thanks for the heads up.